Welcome to Car Rental Kota Bharu Services. We are one of the best Car Rental in Kota Bharu. We provide best cars, in clean condition, comfortable & safe to use in addition to offering low prices! 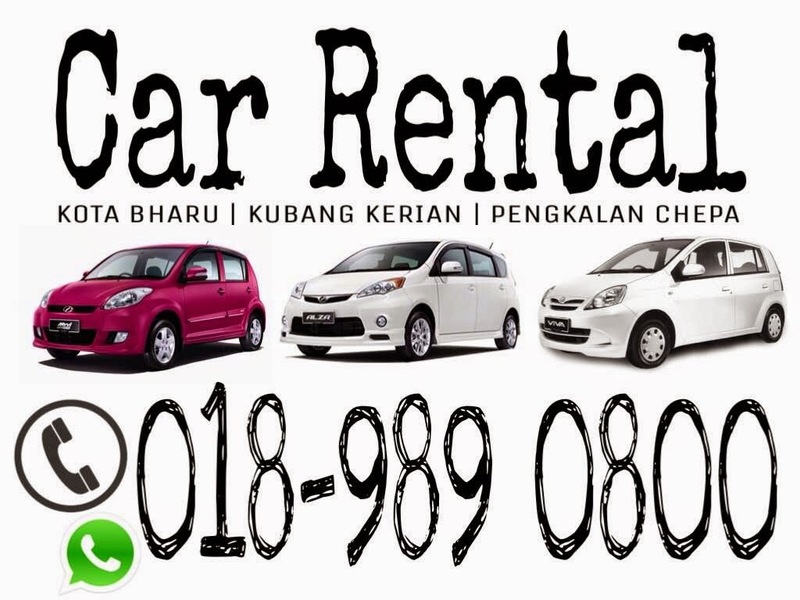 CAR RENTAL KOTA BHARU | CAR RENTAL PENGKALAN CHEPA | CAR RENTAL KUBANG KERIAN | CAR RENTAL SULTAN ISMAIL PETRA AIRPORT KOTA BHARU | CAR RENTAL KELANTAN.